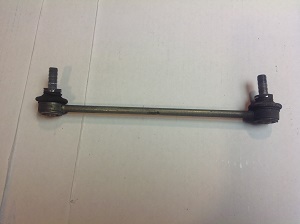 Used Rear Sway Bar Endlink for 2002-2006 R50 R52 R53 MINI Cooper and Cooper S. This is a good used end link removed from one of our wrecked MINIs we are parting out. These only fit the rear. Sold as individual link as seen in the pic.